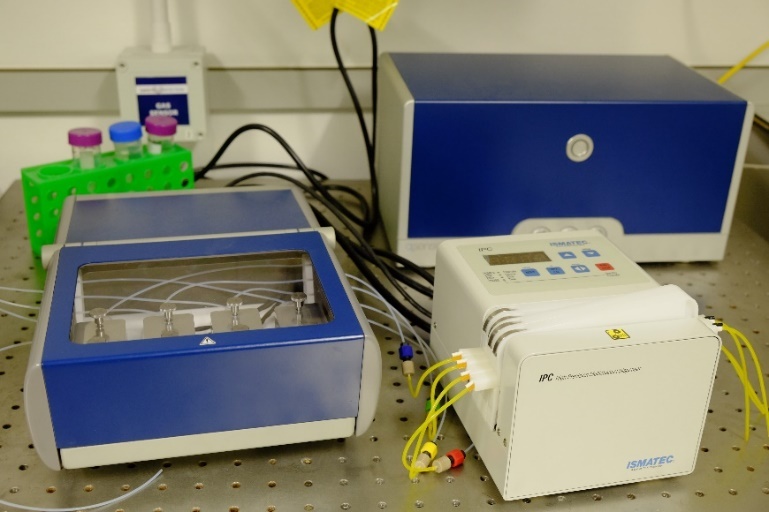 The QSense E4 is a 4-channel system which increases the throughput and enables the evaluation of several parameters simultaneously such as pH, concentrations, substrates etc. Since the 4 measurements are performed with the same measurement sequence, the data sets can easily be compared to each other. Mass, thickness, viscoelastic parameters, adsorption rates etc can easily be extracted from the analysis software.